Fall 2018. Meeting starts at 6:30 on Monday November 5 at the Holland Town Hall. Wrap-up for the year, and discussion on 2019 plans. All are welcome! Along with the Town of Holland and the Mississippi Valley Conservancy, we contribute to costs for management such as prescribed burns, invasive species control and woody species removal. Thank you! 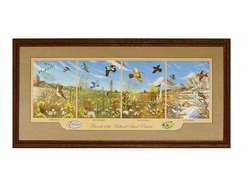 Make checks out to: HAF or Holmen Area Foundation. 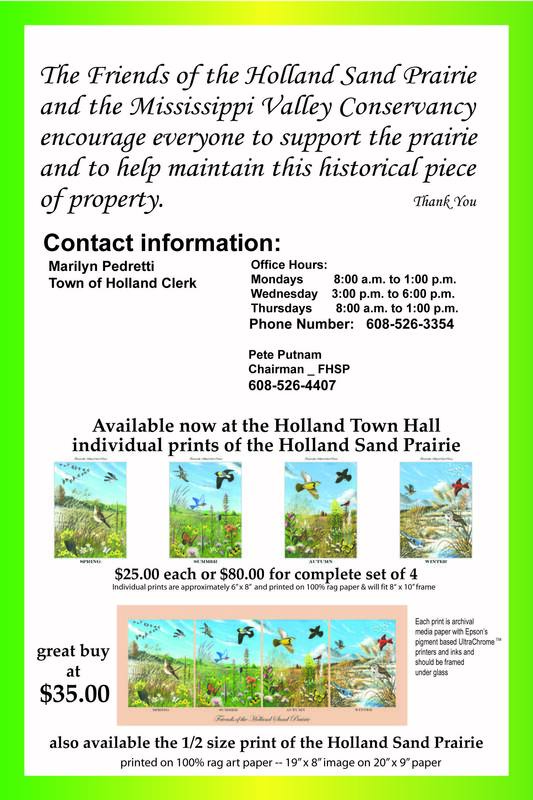 In memo line: “Donation to Friends of Holland Sand Prairie” or “FHSP”, or include a note designating FHSP. The dog policy for Holland Sand Prairie has changed. Dogs are no longer allowed on the property. This is in response to a couple of things, but ultimately it is to maintain the property's conservation value. Thanks. Print is now available in smalle﻿r versions. Details!